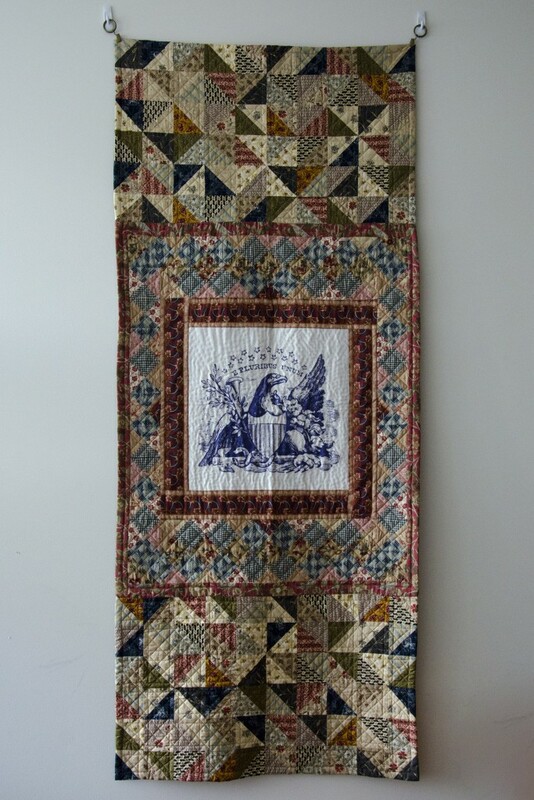 An old friend is finally home safe from the War… of 1812 Traveling Quilt Exhibit, that is. 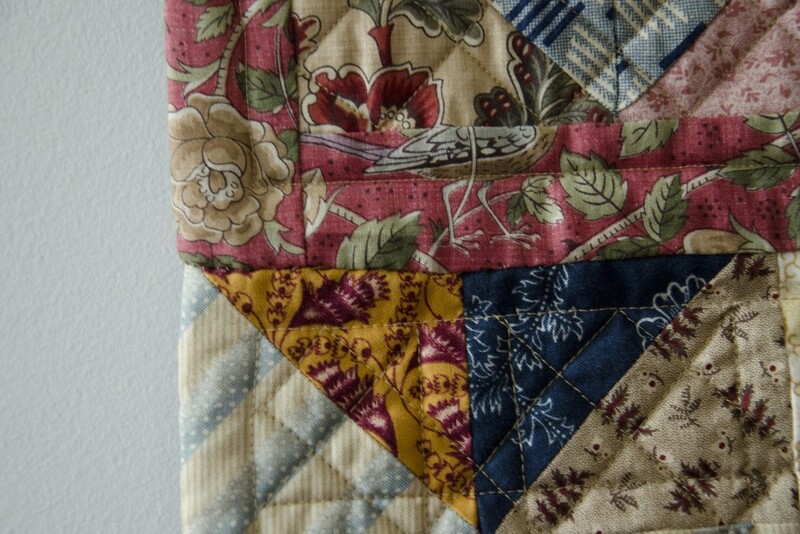 When I started working on this quilt in 2011, it was a chance to dip my toes into making a quilt for show and a way to embrace my love of history and research. The possibility that it would be accepted as one of 26 to travel after the initial show was never in my thoughts. The idea that the show would continue traveling across the country and internationally for four years was beyond my imagining. ”Grown and Off to War”, Rachael Arnold, February 2012, ~30”x70”. Now that it’s home, I finally had the chance to take photos of the finished quilt! Here’s the statement that I submitted with it, which gives you a better idea of why there are three distinct sections. One fact about the War of 1812 that sticks with me is that the last living survivor of the War was only fourteen years old when he enlisted. Surely, he was not the only man to enlist that young—though we now call a fourteen-year-old a boy, not a man. Fourteen—even eighteen—years is not so many years at all to a mother. So my inspiration of cradle–to–cot–to–coffin was born. 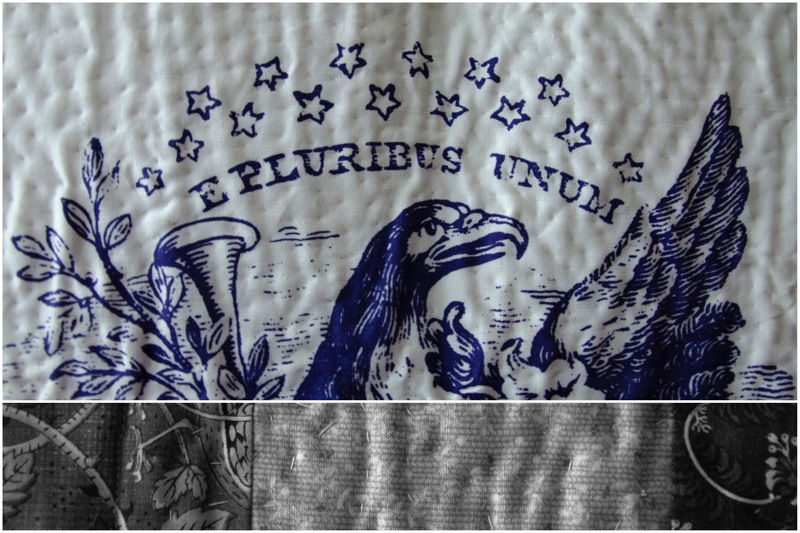 My premise is that the center section originated as a cradle or crib quilt, sewn sometime post-1795 (when the 15th state was admitted, represented by 15 stars in the medallion) for the birth of a son. 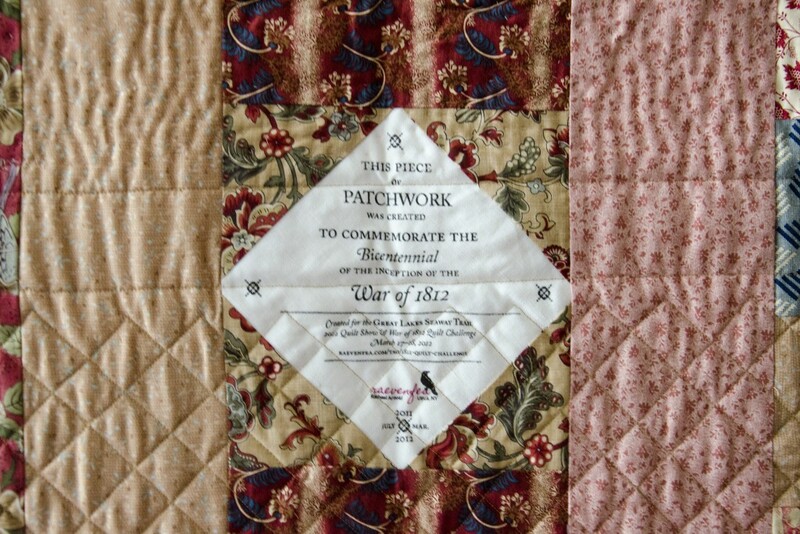 Sixteen or so years later, a mother extended the quilt to its final dimensions, and sent it off to war with that same son—now a soldier—to warm him once again. 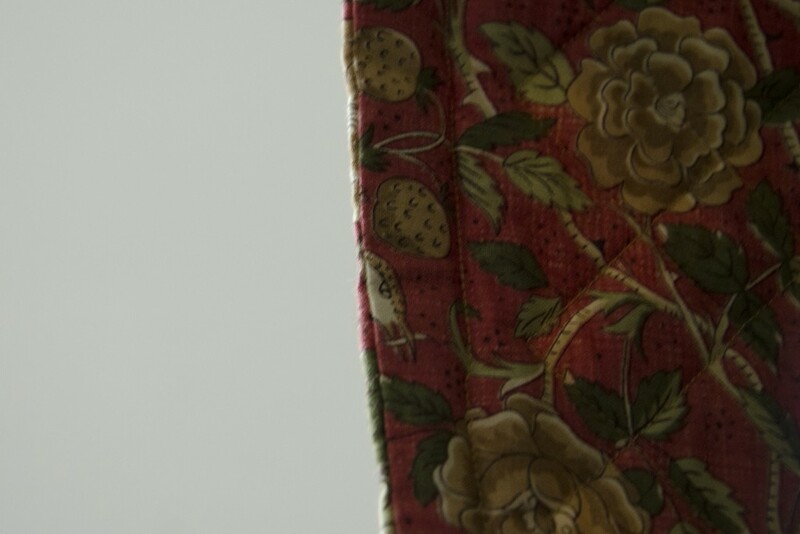 ”Grown and Off to War” (detail), Rachael Arnold, February 2012, ~30”x70”. 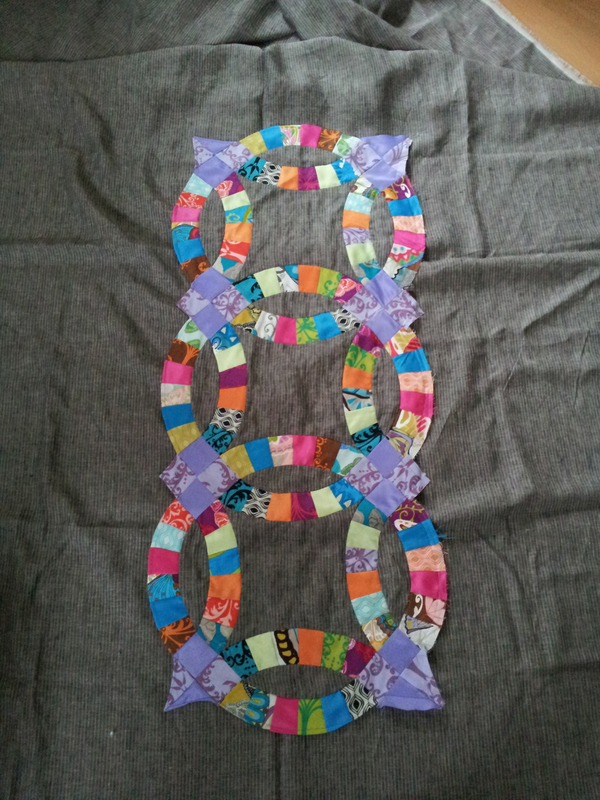 I constructed the quilt in three separate parts, almost finishing them completely before putting everything together as one quilt. 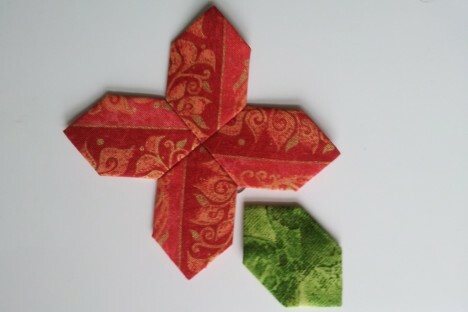 Although it is machine pieced and mostly machine-quilted, I did a lot of handwork: the medallion is hand-quilted, the edges were all done by hand, and actually connecting the three pieces was also by hand. 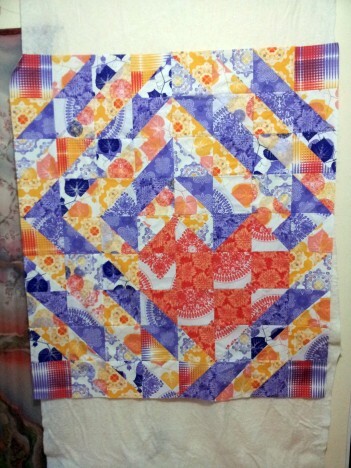 If I recall correctly, I liked the wool batting I used in this quilt far better than the type I used more recently. It came from a bolt at Joann Fabrics, but I haven’t seen it since. The edges are knife-edge finished. 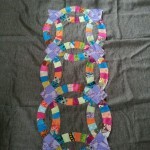 To connect the sections together, I pressed the edges of the center section edges in like I would if I were finishing them with a knife-edge, slid the other section into that resulting pocket, and stitched the center to the other section on the front and back. 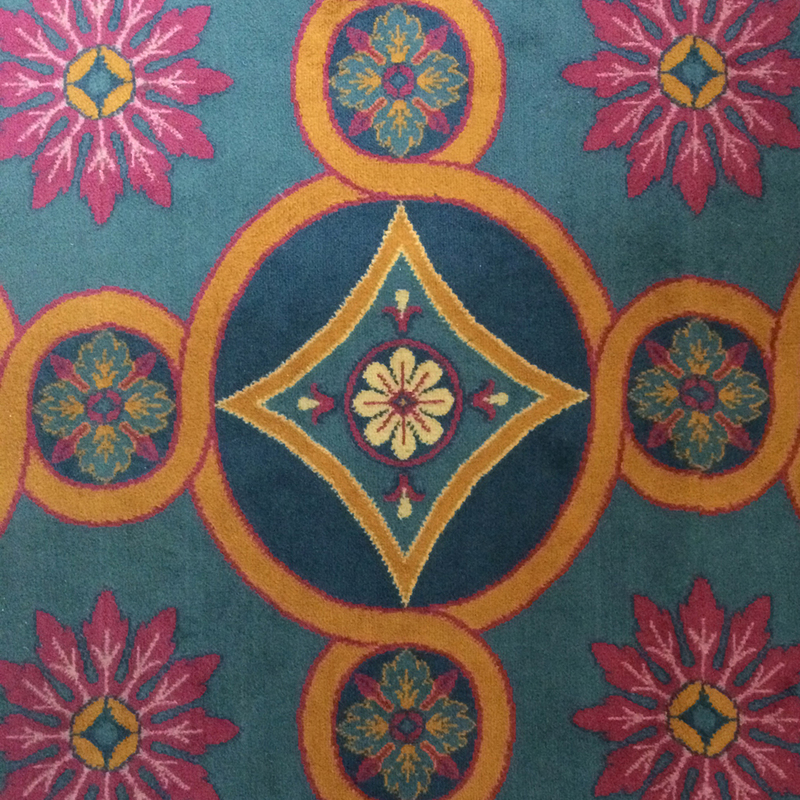 The center medallion was a stock photo woodcut engraving that I printed via Spoonflower. Although the majority of the quilting is machine quilting, I hand quilted the center. 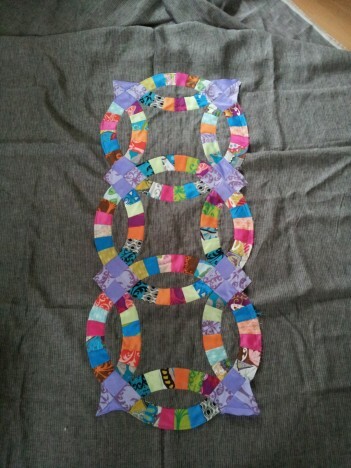 I had no idea what I was doing or how to hand quilt, as evidenced by the back. ”Grown and Off to War” (back), Rachael Arnold, February 2012, ~30”x70”. The back looks very make-do, as I tried to use up as much of the leftover fabric as possible rather than let it fill up my scrap bin. Don’t mind the selvages showing at that very top—that is the hanging sleeve. There’s a custom label pieced directly into the back, inspired by one memorializing Princess Charlotte of Britain c. 1817 (scroll midway down). 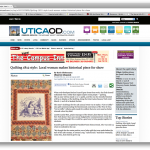 The day after this came home, I dropped off The F-word at the Vermont Quilt Festival. How’s that for diametric opposites in quilting? 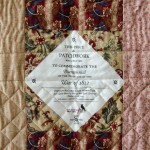 I’m a bit jealous of my 1812 Quilt—it’s getting to do quite a bit of traveling over the course of the next year. 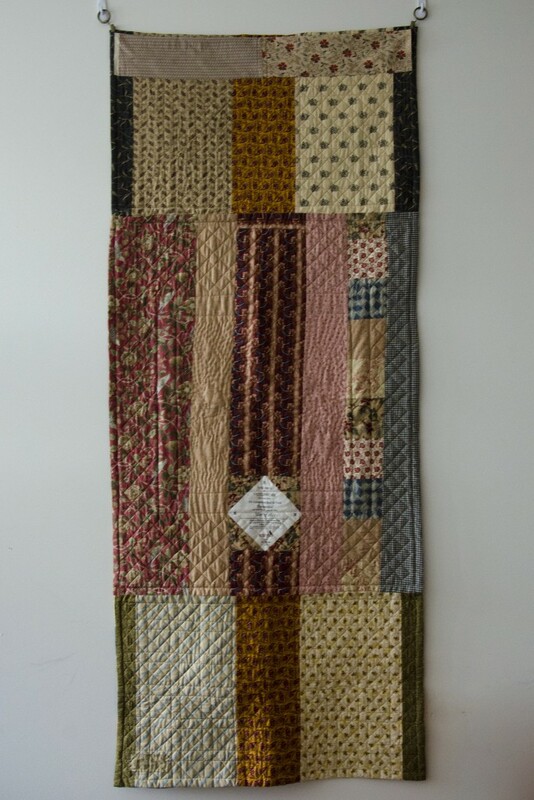 It’s one of 25 of the ~130 quilts from the show that was chosen to go traveling to various shows and museums. 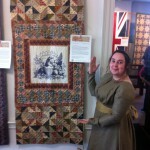 This coming weekend, it will be in Upper Canada Village for their Fantastic Fibres and Quilt Show weekend. I’m kicking myself for never renewing my passport/getting an enhanced license to go across the border, as UCV is a reasonable day trip for us (and I loved it when we went there before these pesky new requirements were in effect). 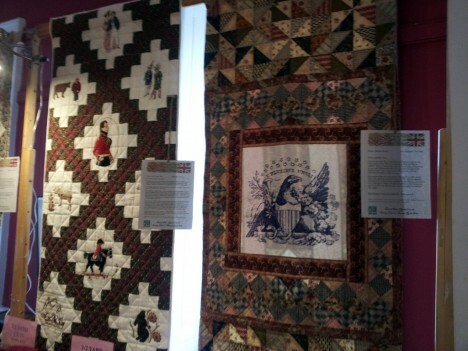 The Great Lakes Seaway Trail 1812 Quilt show was this weekend, and it seemed to be a resounding success. 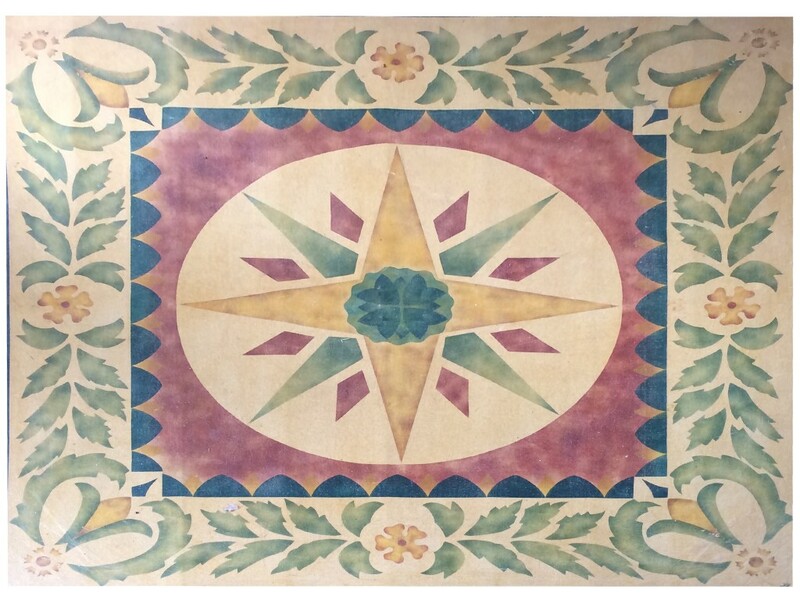 We went up today and enjoyed the quilts, the speaker, some of Sacket’s Harbor’s delicious food, and absolutely beautiful weather. 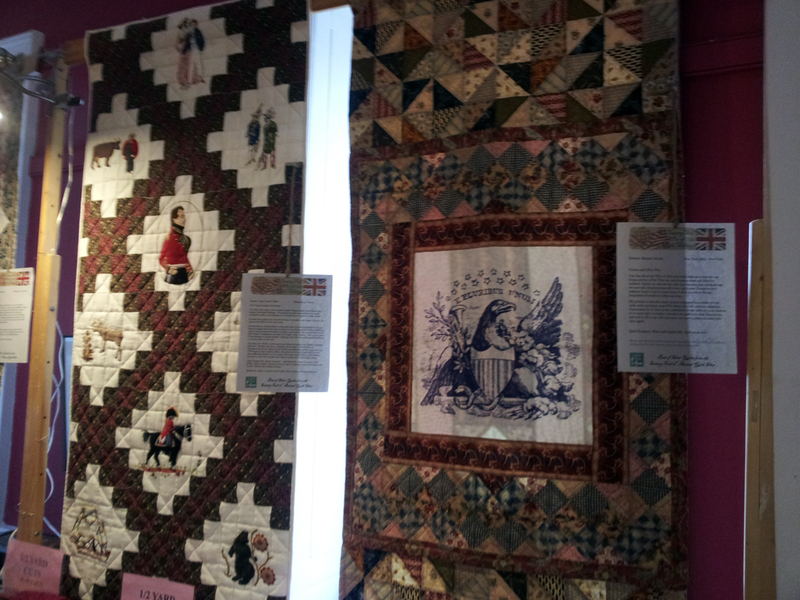 There were so many amazing quilts and talented quilters represented. 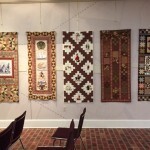 I gave up voting in the viewer’s choice, because there were at least five quilts that I just couldn’t choose between. I hope they all end up in the selection that is traveling around the country in the next year so that more people will have a chance to see them. I spent my National Sewing Day taking advantage of the lovely weather to do some much-needed leaf raking, then sat on the porch and made progress on my Tula quilt’s binding. 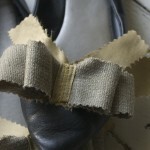 I still haven’t photographed my underpinnings and gown (show is tomorrow), but here’s a few of my shoes. After deciding against the American Duchess shoes, and Moof chewing my half-finished pink attempt, I still found myself in need of shoes for the show. Target no longer had the pink ones, so I couldn’t continue in that vein. I finally decided to go back to my original plan of gussying up a pair of black flats I purchased a few years ago and have practically worn out (I stopped wearing them a while ago, but never got around to throwing them out). Some of the wear will be hidden by the decoration anyway, so it’s a good compromise. 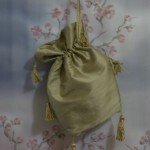 After making proper drawstring channels for my gown and sewing my petticoat straps on (they were pinned on TV), I decided that my outfit needs one more addition: a reticule. After all, I need a way to hide my very un-period keys and cell phone. So, I spent a bit of time browsing, and came across this one in the V&A collection. 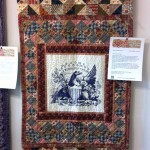 The Great Lakes Seaway Trail Quilt Show is next weekend! 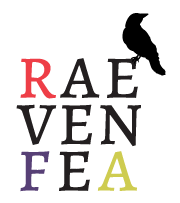 I can’t believe it’s already midway through March… the year has flown by. 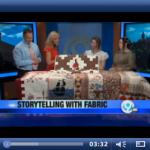 This morning, Lynette (Quilt Show Manager) and I appeared on the Bridge Street Show in Syracuse. 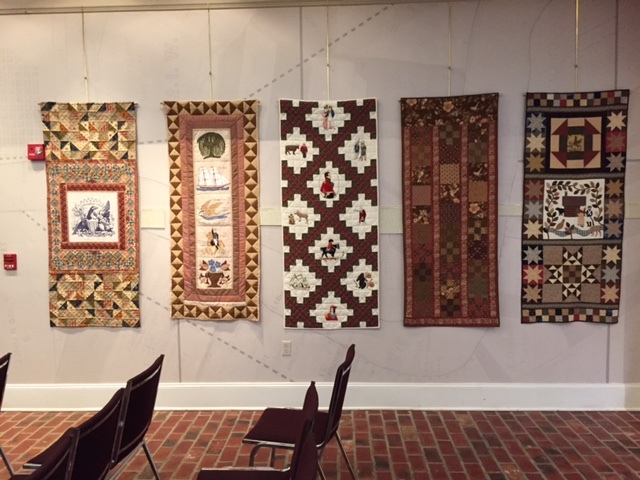 I got a sneak peek at five of the quilts and am in awe of the talent and vision of the quilters (one has 5000 pieces in it, and the woman managed to finish it within 3 months!). I can’t wait to see the rest. Shh, don’t tell anyone, but in the clip, my dress hems are seam-taped, my petticoat straps were pinned on, and my corset and chemise have lots of unfinished edges. Now that I have the outfit complete, though (well, aside from the above-mentioned issues), I might actually have time to blog about the bits and pieces. 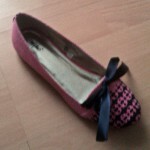 I wasn’t very good about photographing as I made them, though, but I’ll try. 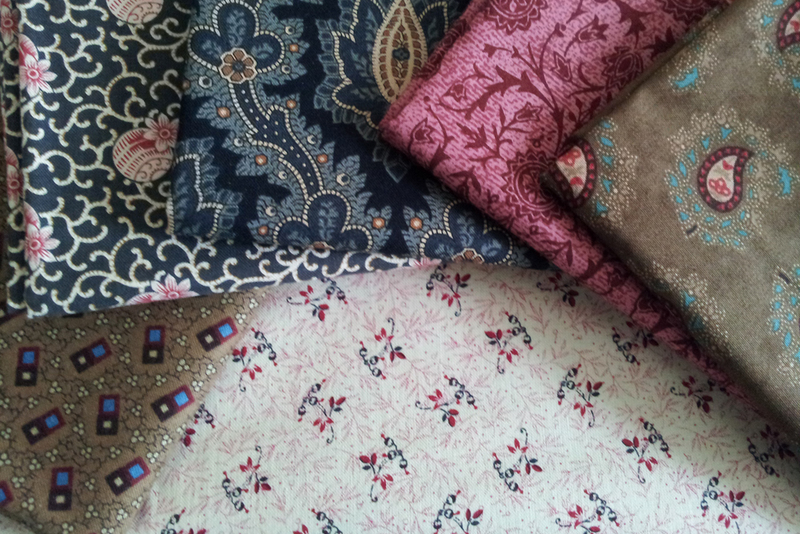 Before I do finish them, I need to clean up my sewing room a bit. It looks like a natural disaster hit. Totally messing up my chi. Then it’ll be back to quilting! I have one that I want to finish by mid-April, if at all possible. 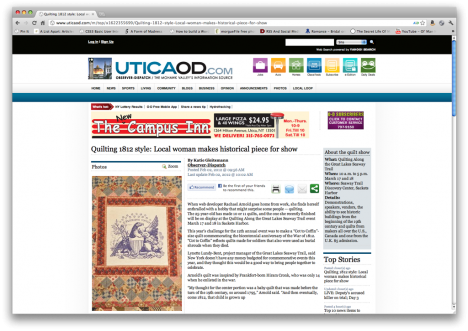 The Observer-Dispatch, Utica’s paper, wrote an article about me and the 1812 Quilt I’ve been working on! Although it doesn’t have the fun alliteration of “Finished it Friday” or “Work in Progress Wednesday”, today I’m showing you unfinished, in-progress views of what I’ve been working on this week, as I’ve been rather productive.